Although in his desire to retain his privacy Hardy destroyed many personal documents before his death, a substantial amount of material relating to his life and art remains in the form of letters, notebooks, interviews, and essays. The following is a list of resources which provide access to that material. Hardy, Evelyn and F. B. Pinion (eds). One Rare Fair Woman: Thomas Hardy’s Letters to Florence Hennicker 1893-1922. London: Macmillan, 1972. Purdy, Richard L. and Michael Millgate (eds). The Collected Letters of Thomas Hardy. 7 vols. Oxford: Clarendon, 1978-1988. Millgate, Michael (ed). Thomas Hardy: Selected Letters. Oxford: Clarendon, 1990. Millgate, Michael (ed). Letters of Emma and Florence Hardy. Oxford: Clarendon, 1996. Beatty, C. J. P. (ed). The Architectural Notebook of Thomas Hardy. Dorchester: Dorset Natural History and Archaeological Society, 1966. Taylor, Richard L. (ed). The Personal Notebooks of Thomas Hardy. London: Macmillan, 1979. Björk, Lennart (ed). The Literary Notebooks of Thomas Hardy. 2 vols. London: Macmillan, 1985. Dalziel, Pamela and Michael Millgate (eds). Thomas Hardy’s ‘Studies, Specimens etc.’ Notebook. Oxford: Clarendon, 1994. Greenslade, William (ed). Thomas Hardy’s ‘Facts’ Notebook. Aldershot: Ashgate, 2003. Orel, Harold (ed). Thomas Hardy’s Personal Writings. London: Macmillan, 1967. Millgate, Michael (ed). Thomas Hardy’s Public Voice: The Essays, Speeches, and Miscellaneous Prose. Oxford: Clarendon, 2001. Archer, William. Real Conversations. London: Heinemann, 1904. 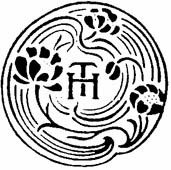 Collins, Vere H. Talks with Thomas Hardy at Max Gate 1920-1922. Garden City: Doubleday, Doran & Co., 1928. Hardy, Evelyn and Robert Gittings (ed). Some Recollections: by Emma Hardy. Together with some relevant Poems by Thomas Hardy. Oxford: OUP, 1961; 1979. Taylor, Richard H. (ed). Diaries [by Emma Hardy]. Northumberland: Carcanet New Press, 1985. Gibson, James (ed). Thomas Hardy: Interviews and Recollections. London: Macmillan, 1999.